The fuel cell project is expected to lower the CO2 emissions of an Equinix data center to almost zero. The global interconnection and data center, Equinix Inc., along with Bloom Energy, have announced a 1 megawatt (MW) biogas fuel cells project at Equinix’s Silicon Valley data center, which will support its SV5 facility, and is expected to not only decrease the data center’s carbon dioxide (CO2) emissions to nearly zero, but will also provide approximately 8.3 million kilowatt hours (kWh) of clean and reliable energy to power a portion of the data center, annually. 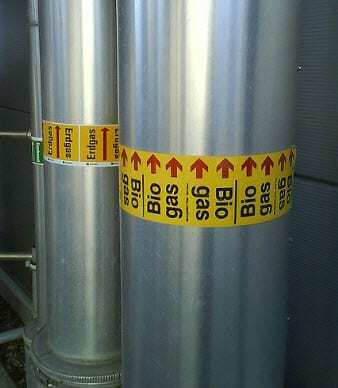 The fuel cells utilize biogas instead of natural gas. Although natural gas is considered to be a clean fuel option, the bottom line is that it remains a fossil fuel. In other words, there are cleaner alternative fuel options, such as biogas, which has been used in this particular project. Bloom Energy’s biogas fuel cells use a propriety solid oxide technology. Via this technology, the cells produce electricity through a clean electrochemical process using air and fuel. The resulting byproducts of this process include only water and a tiny amount of carbon dioxide, reported Data Center Knowledge. In addition to clean energy production, the installation of these fuel cells is clean, too. They are installed without combustion, preventing a minimum of 1.6 million pounds of CO2 emissions from being added to the California grid prior to the biogas even being used. Additionally, due to avoiding 1 MW worth of demand at a local coal-fired or gas plant, indirect water savings is another benefit. The biogas fuel cells project is Equinix’s first step toward its 100% clean and renewable energy goal. Equinix is working toward its goal to provide all of its data centers with 100% renewable and clean energy. At present, the company attains an estimated 30% of its energy from clean renewables. In addition to the biogas fuel cells, these renewable sources include solar, fuel cells, carbon offsets, renewable energy credits, utility programs, and power purchase agreements.